Twenty outstanding up-and-coming young scientists from all over the world were acclaimed as "Green Talents" during a festive ceremony on 15 December 2011. They received their awards by Mr. Thomas Rachel, Parliamentary State Secretary to the German Federal Minister for Education and Research. "Climate change, water shortages, a loss of biodiversity and a lack of raw materials – all urgent social challenges which the German Federal Ministry of Education and Research aims to draw to the attention of science, business and politics in Germany in its second programme supporting 'Research on sustainable development'. Achieving sustainability, however, is a global undertaking. 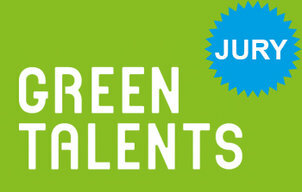 Schemes like Green Talents help to promote that cultural plurality and creativity which encourages the development of global solutions. That is why we intend to intensify global exchange between young researchers in the field of environmental and sustainability research", explained the Parliamentary State Secretary in the Federal Ministry of Education and Research (BMBF), Thomas Rachel, Member of the German Bundestag at the award ceremony in Berlin. The year 2011 was the third time that the BMBF had organised the international competition, which is aimed at exceptional young scientists active in the field of sustainable development. A total of 331 young researchers from 58 different countries entered. A jury made up of high-ranking German experts including Professor Dr Klaus Töpfer, Executive Director of the Institute for Advanced Sustainability Studies (IASS) in Potsdam, Professor Dr Achim Bachem, Chairman of Forschungszentrum Jülich, and Professor Dr Jürgen Schmid, Director of the Fraunhofer IWES, selected the 20 prizewinners. The jury sought out research projects that have the potential to answer global social challenges such as global warming, energy shortages and massive environmental contamination. These new Green Talents bring the number of young sustainability researchers in the BMBF's global network up to 55 awardwinners from 19 different countries. Before the award ceremony in Berlin, the Green Talents were invited on a journey across Germany as part of a ten-day Science Forum hosted by then Germany's Federal Minister of Education and Research, Professor Dr Annette Schavan, who also was the patron of the competition. The Green Talents visited internationally important research facilities, universities and companies, getting to know pioneering projects in various areas of technology and enjoying the opportunity to network with renowned German experts and other young scientists. 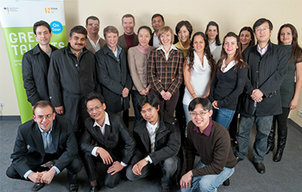 During their tour through Germany which took place from 05 December to 15 December 2011, the "Green Talents" awardees visited high-profile institutes and companies, active in the field of sustainable development. They got to know the German research landscape and met science experts from their respective lines of work. 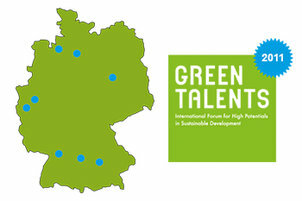 The "Green Talents" had the chance to exchange views with leading German researchers before receiving their awards during a festive ceremony in Berlin. more: Science Forum 2011. The winners were selected by a jury of renowned German experts, whose members in 2011 included Professor Achim Bachem, Dr Carsten Gerhardt, Professor Beate Jessel, Professor Jürgen Schmid and Professor Klaus Töpfer. more: Jury 2011. 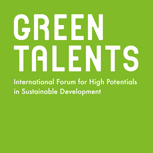 20 young researchers from around the world have won the "Green Talents 2011 - International Forum for High Potentials in Sustainable Development" Competition of the German Federal Ministry of Education and Research (BMBF). Here you can find a short profile of all awardees 2011. more: Awardees 2011.